What makes dialogue good? What kind of lines do you remember–quote often? Before you can make dialogue good and believable, you have to know your characters. What makes them tick? Do they have a phrase they say often? Are they serious? Sarcastic–if so what kind of sarcasm do they use? Humorous, mocking, snide? Are they whimsical? Aloof? Are they witty, shy, dry? Once you know who your characters are, how they think, what drives them, motivates them, moves them, then you’re ready to make them talk! Dialogue comes naturally for some, while for others it’s difficult. I’m one of those writers. It just flows smoothly, I don’t have to think about what my characters are going to say. They tell me. Loudly. But then, I have to think about the senses around me. I have to work at that. Dialogue doesn’t always need a tag. Win a Kindle Fire and a Signed Copy of Final Verdict! Hey everyone! Welcome to my new website. I’m so in love with it and can’t thank Jason Walker at Website Ministries enough for his amazing design, patience, and nailing my vision. I highly recommend him if you’re in the market for a new website or even an upgrade. I’m giving away a Kindle Fire and a signed paperback copy of Final Verdict to one winner. U.S. Only. 18+ This is no April Fool’s joke! The contest is open for the entire month of April! I’ll draw a winner and email them/announce it here May 1st! Here is a closer look at the bracelet! The Love centerpiece fits easily into the bracelet. It’s a magnet and Beckett’s famous line to Aurora: “You and me. We’re magnets from here on out.” I love the symbolism and a big thanks to Gayle Adams, a Magnabilities Consultant and friend who donated this precious piece. Final Verdict is about a sheriff and a defense attorney. Talk about opposites attracting. Tell me, if you had to choose to be a prosecuter or a defense attorney, which one would you choose and why? 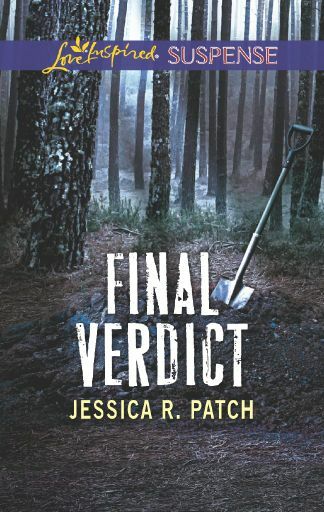 Posted in UncategorizedTagged amazon, final verdict, giveaway, Harlequin, jessica r patch, kindle fire51 Comments on Win a Kindle Fire and a Signed Copy of Final Verdict!